As you start to set commitments for the coming year, are you remembering to include self-care on that list? Developing a practice of daily self-care can be an essential contributor to success in 2015—for you and your organization. In fact, a consistent practice of self-care can be the underlying current driving and reinvigorating your other commitments and goals as you move through the year. Below are some resources to help you get started. This comprehensive primer from our friends and collaborators at Move to End Violence is a great introduction to the principles of self-care, dispelling common myths and outlining why it’s so essential for leaders driving social change. The blog also has a useful bank of resources at the end to help you dive deeper. 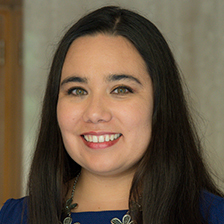 Former CompassPoint Senior Project Director Marissa Tirona (and current director for Blue Shield Against Violence) reinforces the idea that self-care is more than just taking a “spa day”—it’s about developing an everyday practice that helps people and organizations become more resilient. Individual self-care is one thing, but what does it mean for a whole group of people to cultivate it as a system-wide value? In this follow-up blog to her previous piece about self-care, Marissa Tirona shares actionable ideas for creating an organizational culture of self-care. This blog struck a nerve with many of our readers last year, making it one of our most-read posts from 2014. If you’re thinking about self-care, learning to differentiate between what’s urgent and what’s important is a great place to start. In a world full of constant distractions, endless streams of media and demands that make our lives busier and busier, it’s no wonder the concept of mindfulness is gaining so much traction. This article from the Harvard Business Review shows how mindfulnesscan make your brain more adaptive and resilient. If you think sabbaticals are self-indulgent or are a surefire way of leaving your organization in disarray, get ready to have that notion challenged with this study on sabbaticals, which demonstrates the important of professional breaks in building capacity and resilience in nonprofit leaders and organizations. A beautiful reminder to tend to “the spaces in between” when you’re trying to build a fire. Doodles of cute critters sharing positive and uplifting messages to help you get through your day. A website that lets you mix and match relaxing sounds to create a perfect cocktail of relaxing ambient noise. "Self-Care Tips: Advice from Professional Clinicians"
We've added a bonus resource from the Simmons School of Social Work to roundout our list. Check it out to see what clinical social workers, psychologists and, other professionals have to say about dealing with burnout and "compassion fatigue." How do you practice self-care? Is your practice personal, or organization-wide? Share your own favorite resources in the comments below. Looking for more great reads on self-care, nonprofit management, leadership, strategy, and more? 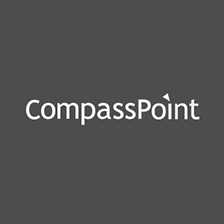 Sign up for CompassPoint's e-newsletters here. 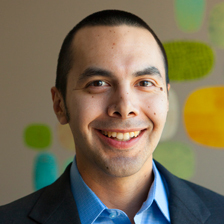 Maro Guevara is a project coordinator at CompassPoint, where he supports communication efforts and leadership initiatives. sujin lee is project director at CompassPoint and an extended board member of the Center for Story Based Strategy.